The Defense Health Agency has chosen Potomac Healthcare Solutions for a multi-year task order to provide ancillary health services at various military treatment facilities in the National Capital Region. Under this new contract, Potomac will supply Inpatient and Outpatient Pharmacists, Pharmacy Technicians, Surgical Technicians, and Sterile Supply Technicians for the Walter Reed National Military Medical Center, the Ft. Belvoir Community Hospital, and the Joint Base Andrews and Bolling Medical Clinics. The Army has selected Potomac Healthcare Solutions for a multi-year task order to support its new Soldier Readiness Test and Training Program (SRT2P). Using a team-based, holistic approach that focuses on improving strength and agility while minimizing musculoskeletal injuries, the program is intended to create and maintain a ready force, better prepared to train, deploy, fight, and win on the battlefield. Under this task order , the Company will provide Certified Athletic Trainers and Registered Dietitians at multiple locations across the United States who will be embedded alongside the soldiers as they train with their battalions. Following completion of a rigorous onsite survey, The Joint Commission has granted Potomac Healthcare Solutions a new two-year Certification under its Health Care Staffing standards. Consequently, the Company has been reawarded the Commission's Gold Seal of Approval. Joint Commission certification is voluntary and provides an independent, comprehensive evaluation of Potomac's ability to provide qualified and competent staffing services. The Defense Health Agency has selected Potomac Healthcare Solutions for a multi-year contract to provide ancillary healthcare services to the Walter Reed National Military Medical Center, the Pentagon, and the Fort Belvoir Army Community Hospital. Professional categories include Physical Therapists, Physician Assistants, Chiropractors, Art Therapists, and Physician Acupuncturists. Having now expanded into Maryland, the Company presently operates in twenty states as well as in Korea, Japan, Guam, and the United Kingdom. 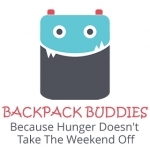 With the start of the 2018-2019 academic year, Potomac Healthcare Solutions is again partnering with the Business Benefits Group to support the Backpack Buddies Program at Daniels Run Elementary School. This program supports roughly 100 children in the community every week who are food insecure. Each Friday each child takes home 2 breakfasts, 2 lunches, 2 dinners, 2 snacks, along with milk and juice. Potomac Healthcare will continue supporting Daniels Run Elementary throughout the school year. The professionals at Potomac Healthcare Solutions understand that due to high costs, prescription drugs are often out of reach for many patients. At the same time, patients who are unable to afford their prescribed medications are at risk for a wide range of adverse outcomes. In response, Potomac Healthcare is pleased to announce the launch of its exciting new Potomac Rx Assistance Program. With Rx Assistance, patients can qualify for the free prescription drug assistance programs offered by virtually every U.S. pharmaceutical manufacturer. Qualification is based on family income guidelines that make free medications available to a wide range of families. In addition to covering nearly 3,000 medications and over 200 drug manufacturers, our program also provides for free supplies such as syringes, needles, glucometers, and other diabetic supplies. The Rx Assistance Program is now in use at our Longwood University Health Center in Farmville, VA.
Potomac has been named as a finalist for the 2018 Moxie Awards under the GovCon 100-250 Employee category. The Moxie Award program is a night full of celebration and connections, honoring the accomplishments and achievements of growing businesses, nonprofits and associations in the DC metro community. Organizations are recognized for having demonstrated boldness and innovation as an integral part of their growth strategy. Potomac Healthcare Solutions, LLC and Valor Healthcare, Inc. proudly announce their formation of Potomac Valor Healthcare, LLC, a joint venture company approved by the Small Business Administration under the All Small Mentor-Protégé Program. 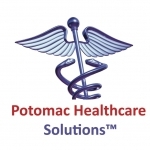 Potomac Healthcare Solutions is an award winning Service Disabled Veteran Owned Small Business offering high quality outcomes, responsive service, and rapid growth. Valor Healthcare is the nation’s largest and most experienced contractor-operator of Community Based Outpatient Clinics for the Department of Veterans Affairs, currently operating over 30 clinics across the United States. Potomac Valor Healthcare brings together the proven leadership, resources, expertise, and experience of these two highly respected firms into a new entity, fully qualified to pursue federal procurements set aside for small businesses. Potomac Valor Healthcare, LLC has been verified by the Department of Veterans Affairs’ Center for Verification and Evaluation and is eligible in all respects to compete for opportunities set aside for Veteran Owned and Service Disabled Veteran Owned Small Businesses. After completing a comprehensive Intra-Cycle Evaluation of Potomac Healthcare Solutions' Health Care Staffing Program, The Joint Commission has re-certified the Company for an additional year. The evaluation revealed "No Requirements for Improvement". Potomac's continued voluntary participation in the Joint Commission's Certification Program demonstrates its commitment to providing qualified and competent staffing services. The Defense Health Agency today announced that Potomac Healthcare Solutions is among the companies selected to provide nationwide physician, nursing, and ancillary staffing of military treatment facilities within the 50 United States, the District of Columbia, and the U.S. Territories of Guam and Puerto Rico. Under this multiple award contract the Department of Defense will purchase healthcare services with a contract ceiling of $7.5 billion over the next five years. On June 14th, Potomac Healthcare Co-CEO Tom Burden participated as a speaker in the Medical, Biomedical and Biodefense Symposium at the University of North Carolina (UNC), Chapel Hill. Sponsored by the North Carolina Military Business Center, UNC, the North Carolina Biotech Center, and United States Senators Richard Burr and Thom Tillis, the purpose of the event was to connect leaders of the Department of Defense, Department of Veterans Affairs and other federal agencies with leaders in North Carolina to increase federal business opportunities for organizations engaged in the medical industry. Representing the perspective of health services providers, Mr. Burden served on the panel titled “Department of Defense: Requirements and Acquisition Processes for Medical Materiel and Services”. The US Department of Veterans Affairs has again reverified Potomac Healthcare Solutions for three additional years as a Service Disabled Veteran Owned Small Business. The SDVOSB designation recognizes the important contributions of America's veterans who have become disabled in the line of duty and provides their companies with enhanced opportunity to compete for federal contracts. The designation also qualifies our company to participate in the VA's Veterans First Contracting Program. 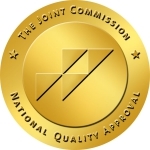 Following completion of a rigorous two-day onsite survey on January 5-6th, The Joint Commission has granted Potomac Healthcare Solutions full two-year Certification under its Health Care Staffing standards. No deficiencies or requirements for improvement were identified, and the Company was awarded the Commission's Gold Seal of Approval. Joint Commission certification is voluntary and provides an independent, comprehensive evaluation of Potomac's ability to provide qualified and competent staffing services. For the second consecutive year Potomac Healthcare Solutions has been named by Inc. Magazine for inclusion in its annual Inc. 500/5000 List of the Fastest Growing Private Companies in the United States. This year’s ranking is number 2804. As an Inc. 5000 honoree, the Company joins a very select group of firms who have been listed more than once, including such notable names as Intuit, Zappos, Under Armour, and Microsoft. We wish to extend our special thanks to our incredible employees and clients for helping to make this possible. 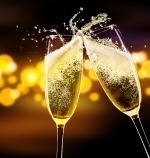 We look forward to many more years of success. 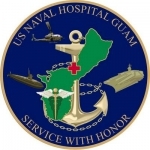 Potomac Healthcare Solutions has been selected by the Navy to provide Registered Nurse Case Management Services to US Naval Hospital Guam. This selection marks a further expansion of Potomac’s portfolio of international and OCONUS work, which presently includes Korea, Japan, Hawaii, and the United Kingdom. Services commence in August, 2016. The Army Medical Command has selected Potomac Healthcare Solutions for award of its Army Direct Care Medical Services (ADCMS), Generation Two contract to provide nursing services to military treatment facilities throughout the Pacific, including Hawaii and Guam. Services are expected to start within 60 days. In addition to our continuing efforts to create meaningful employment opportunities for America's veterans, Potomac Healthcare Solutions actively supports increasing employment opportunities for military spouses. 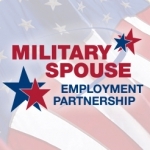 We are proud to announce our recent acceptance into the Military Spouse Employment Partnership. The Partnership, or MSEP, expands career opportunities for military spouses among companies that are eager to hire them. It provides companies direct access to military spouses seeking career opportunities and connects spouses to employers who are actively recruiting. With our acceptance into MSEP, Potomac joins more than 200 partners who have hired more than 55,000 military spouses. 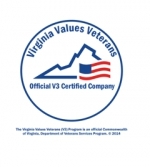 Potomac Healthcare has completed all required training and conditions and been accepted into the Virginia Values Veterans (V3) Program. 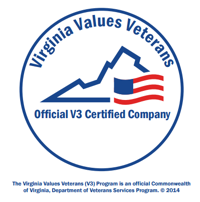 V3 is a Commonwealth of Virginia, Department of Veterans Services Program that helps employers understand, design, and implement nationally recognized best practices in recruiting, hiring, and retaining Veterans. On its admission into the program, Potomac joins a select group of Virginia employers who have demonstrate their commitment to "Hiring America's Heroes". In the third award of the week, the Navy has selected Potomac to provide registered nurses to support the Post-Anesthesia Care Unit and Preoperative Services at Naval Medical Center, San Diego. Services will commence in May. 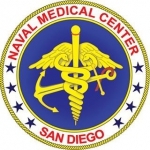 Potomac Healthcare has again been selected by Navy Medicine to provide registered nurses for Naval Medical Center, San Diego. Under a new multi-year task order beginning in May, the company will provide pediatric intensive care and pediatric inpatient nurses. SECAF, the Small and Emerging Contractors Advisory Forum, has named Potomac Healthcare Solutions as a finalist for its SECAF “Award of Excellence”. In nominating us, the Nominating Committee cited Potomac Healthcare as a “dynamic and well-qualified” company. This award highlights organizations that represent excellence within their respective communities, the government contracting industry, and towards their employees. 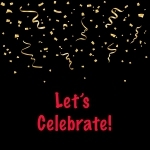 Final awardees will be announced at the Eighth Annual Awards Gala to be celebrated on May 12th at the McLean Hilton. Potomac Healthcare Solutions was previously chosen as the recipient of SECAF’s 2013 “Government Project of the Year Award”. Under a multi-year task order contract, the Navy has chosen Potomac Healthcare Solutions to supply Registered Nurses to staff the Naval Medical Center, San Diego Labor & Delivery and Perinatal Units. Services will commence in May 2016. 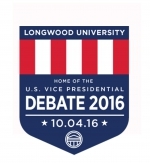 The Commission on Presidential Debates has named Potomac Healthcare Solutions' client, Longwood University, to host the vice presidential debate for the 2016 election. We join the entire Longwood family in welcoming the candidates to campus for the debate in Willett Hall on October 4, 2016 — with America and the world watching. 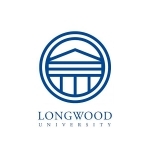 As Longwood's campus healthcare provider, the Potomac Healthcare team is now assisting with preparations. The Virginia Department of Minority Business Enterprise has renewed, for an additional three years, Potomac Healthcare Solutions's certification as a Small Business. Classification as a Small, Women, and Minority Business (SWaM) enables us to compete for Commonwealth contracts set-aside for SWaM enterprises and also provides for certain scoring preferences in the proposal evaluation process. Trending 40, an editorial program and event recognizing top talent in Washington's business communities has added Potomac Healthcare Solutions to its 2015 List as one of DC's Fastest Growing Companies. Sponsors include Morgan Stanley, KMPG, Vornado, Wingate Hughes, and Chain Bridge Bank. Proceeds benefit the GEN*Z Scholarship Fund. The US Air Force Reserve has selected Potomac Healthcare Solutions to provide Certified Strength and Conditioning Specialists to support the readiness and rehabilitation of its air rescue squadron operators in several continental US locations. This work builds on current Potomac services supporting the US Special Operations Command. Co-founders Bill Joseph and Tom Burden are proud to announce the company’s selection by Inc. Magazine for inclusion in its 2015 Inc. 500 list as one of America’s fastest growing privately owned companies. Qualification for the Inc. 500/5000 lists is determined by a firm’s revenue growth over the most recent four-year period. Past Inc. 500 honorees include such successful companies as Intuit, Zappos, Under Armour, Microsoft, Timberland, and Oracle. Among all candidates for the two lists, Potomac Healthcare Solutions ranked at number 207, thereby qualifying for both the Inc. 5000 as well as the more prestigious Inc. 500. 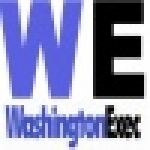 Potomac also ranked as the #20 Top Health company, the #12 Washington D.C. Metro company, and the #9 Top Virginia Company. We are honored to have been chosen and wish to recognize both our outstanding team of healthcare and support professionals, as well as our valued customers. Without these, none of our success would have been possible. 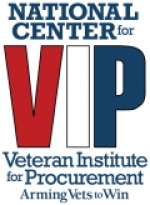 Potomac Healthcare Solutions’ co-owner, Tom Burden recently completed the Veteran Institute for Procurement (VIP), a comprehensive training and certification program that helps veteran-owned businesses strengthen their ability to win government contracts and do business with both military and civilian agencies they once served in uniform. On June 11, 2015, Potomac Healthcare Solutions was one of 50 businesses from 12 states, the District of Columbia, and a U.S. Island Territory to graduate from the National Center for the Veteran Institute for Procurement. During the program’s graduation, Potomac Healthcare Solutions was presented with a congressional citation on behalf of Virginia’s 11th District Representative Gerald E, Connolly. The first program of its kind in the nation, VIP is conducted by professional subject-matter specialists in the essentials necessary to win government contracts: law, accounting, insurance, human resources, marketing and proposals. It also provides participants with access to Federal and prime contracting executives along with a national network of veteran owned small businesses that they can team with on opportunities. Since its launch in 2009, VIP has helped 496 service-disabled and veteran-owned small businesses grow. A survey of 184 of the program's graduates determined that 2,018 new jobs were created and the size of their businesses increased by an average of 49% within a year of graduating from the Institute. More than 82% of surveyed graduates credited VIP for equipping them to make recent business decisions and avoid unseen pitfalls. Additionally, veteran-owned businesses are more likely to hire, mentor and train other war veterans as they transition to private life, which is a national priority. "We are honored to give back to the men and women who served our country by providing them with the tools necessary to succeed as government contractors." said Barbara Ashe, President of the Montgomery County Chamber Community Foundation. “We hope this training fosters their success as businesses and employers.” VIP is a three-day, 27-hour comprehensive certification program. Participants must be a C-level leader in a Veteran-owned small business operating for at least two years with a minimum of 3 full time employees, and experience working on government contracts as a prime and/or sub-contractor to a prime. With volunteer instructors and at no cost to participants, VIP is fully funded by the Montgomery County Chamber Community Foundation, partners, and VIP sponsors. We are pleased to announce the Navy has awarded Potomac Healthcare Solutions a multi-year contract to supply nursing and advance practice nursing healthcare services to Navy Medical Treatment Facilities throughout the Western US. The US Department of Veterans Affairs has re-verified Potomac Healthcare Solutions two additional years as a Service Disabled Veteran Owned Small Business. 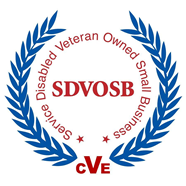 The SDVOSB designation recognizes the important contributions of America's veterans who have become disabled in the line of duty and provides their companies with enhanced opportunity to compete for federal contracts. The designation also qualifies our company to participate in the VA's Veterans First Contracting Program. Recently, Potomac Healthcare founders Bill Joseph and Tom Burden sat down with Executive Leaders Radio for an interview. With 7 million listeners weekly, Executive Leaders Radio is the #1 business weekly radio show in the Mid-Atlantic States and is broadcast nationally on ninety-one (91) terrestrial and internet radio stations. To listen in, click here. 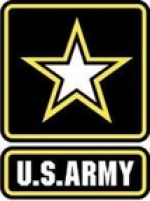 As a follow on to Potomac's recent contract to provide Initial Outfitting & Transition services for the Ft. Bragg Joel Health Clinic, the Army Corps of Engineers has again selected us to provide medical equipment to the Martin Army Community Hospital at Ft. Benning, GA where the Army is presently transitioning to a newly constructed hospital. Under a new multi-year task order contract awarded by an unnamed federal agency, Potomac Healthcare Solutions will provide nurses, wellness/fitness coordinators and administrative support personnel. Due to security restrictions, further details are not available. The US Army Corps of Engineers recently awarded to Potomac Healthcare Solutions a contract for Initial Outfitting & Transitioning to support the Army's renovation of its Joel Health Clinic at Ft. Bragg, NC. Under this contract, the Company will provide a wide range of medical equipment. As we approach the holiday season, Potomac Healthcare Solutions gives thanks for our many blessings. Working with the Boy Scouts of America, Potomac has made a substantial donation of food to the Lorton Community Action Center in an effort to offset hunger. Happy Thanksgiving to all. We are pleased to announce the Navy's selection of Potomac Healthcare Solutions to supply Ancillary healthcare services under a multi-year contract to multiple Navy treatment facilities throughout the Southeastern US. Services will include Allied Health, Technologist, Technician, and Assistant labor categories. The American College of Healthcare Executives is pleased to announce the recertification of Thomas W. Burden, FACHE as Fellow. Recertification represents continued achievement in meeting high standards of professional development and excellence as a healthcare executive. Mr. Burden initially advanced to Fellow in 1990. Potomac Healthcare Solutions is proud to announce that National Committee for Quality Assurance (NCQA) has upgraded the Patient- Centered Medical Home Recognition of our Fort Benning Adult Primary Care Clinic from Level II to Level III, the highest possible program level. Achievement of Level III Recognition is the result of Potomac Healthcare's proven quality improvement systems and processes, and demonstrates the Company's continued commitment to excellence and quality healthcare delivery. Potomac Healthcare Solutions is pleased to announce that company co-founder and principal, Tom Burden, has been named Surgeon General of the Naval Order of the United States. 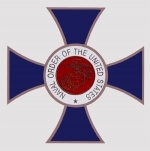 Founded in 1890, the Naval Order is the nation's oldest organization dedicated to the preservation of our country's maritime history and heritage. Past members have included Admiral of the Navy George Dewey, Fleet Admiral Chester Nimitz, and Lieutenant George H. W. Bush. As Surgeon General, Tom will advise on and lead issues pertaining to the history of naval and maritime medicine and the overall support of the Order's objectives and programs. Potomac Healthcare Solutions, teaming with a large prime contractor, Booz Allen Hamilton, has been selected by the US Special Operations Command (SOCOM) to provide healthcare services and professionals in support of its Preservation of the Force and Family program. 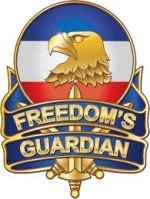 This worldwide program focuses on delivering a holistic approach to supporting the Special Operating Forces of all services through increasing the physical, mental and spiritual capacity of the SOF Tactical Athletes over their careers, decreasing the rate of physical and emotional injuries from all causes, and significantly accelerating return to duty times. 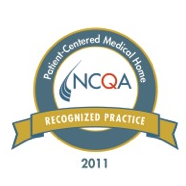 Potomac Healthcare Solutions is pleased to announce that the NCQA has granted Level II Recognition under its Patient-Centered Medical Home initiative to our Adult Primary Care Clinic located in Martin Army Community Hospital, Ft. Benning, Georgia. Potomac Healthcare staffs, manages, and operates this freestanding clinic for 10,000 uniformed services beneficiaries. Achievement of Level II recognition exceeds the Army's contract requirements and demonstrates Potomac Healthcare's commitment to excellence and quality healthcare delivery. Building on our previous policy analysis support to the US Department of Veterans Affairs, the VA has awarded a new contract to the CHAOS Consulting-CNA-Potomac Healthcare Solutions team for research and analysis of four important VA policy issues: Veterans Benefits, Healthcare, Burials, and VA Legislation. This new contract will assist the VA's Office of Planning and Policy by drawing on our expertise to assess the impact of policies and VA programs on veterans and to enhance the VA's policy development and decision making processes. The Virginia Department of Minority Business Enterprise has today officially classified Potomac Healthcare Solutions as a Small Business. Classification as a Small, Women, and Minority Business (SWaM) enables us to compete for Commonwealth contracts set-aside for SWaM enterprises and also provides for certain scoring preferences in the proposal evaluation process. We are pleased to announce that our company has been approved as a Service Disabled Veteran Owned Small Business. The SDVOSB designation distinguishes Virginia small businesses that are owned by disabled veterans and allows government agencies to take this into consideration when awarding contracts. We are pleased to announce that the US Department of Veterans Affairs has re-verified Potomac Healthcare Solutions for another year as a Service Disabled Veteran Owned Small Business. The SDVOSB designation recognizes the important contributions of America's veterans who have become disabled in the line of duty and provides their companies with enhanced opportunity to compete for federal contracts. By completing the rigorous re-verification process, we have again validated our compliance status and eligibility to participate in this select program. Under a newly awarded contract, Potomac Healthcare Solutions, together with the Center for Naval Analyses (CNA), is assisting the Department of Veterans Affairs’ (VA) Office of Policy and Planning in developing a forward-looking policy analysis capability to enhance the VA’s policy development and decision-making processes. Under this contract Potomac Healthcare Solutions will aid in the development of an environmental scan to assess existing veteran policy analysis and to identify federal agencies and private organizations involved in veteran issues and analysis. The Army Medical Command has selected Potomac Healthcare Solutions to staff, manage, and operate the Martin Army Community Hospitals Adult Primary Care Clinic. Under this five-year contract, the company will provide all necessary primary care to 10,000 uniformed services beneficiaries. The contract requires us to achieve NCQA Recognition as a Level ll Patient-Centered Medical Home and to provide a wide range of population health improvement services. 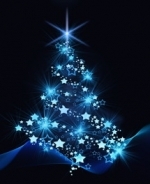 Services begin December 1, 2011. Potomac Healthcare happily announces its relocation to our new "World Headquarters" in Woodbridge, Virginia. ln addition to significantly shortening our daily commute, our new offices give us substantial "elbow room" for future growth. Please see the "Contact us" page for our new address and contact numbers. We are pleased to announce that Potomac Healthcare Solutions has satisfied all Department of Veterans Affairs requirements and is now a Verified Service Disabled Veteran Owned Small Business. This important distinction recognizes the important contributions of America's veterans who have become disabled in the line of duty and provides their companies with enhanced opportunity to compete for federal contracts.